Your website needs a place where your visitors can find it. 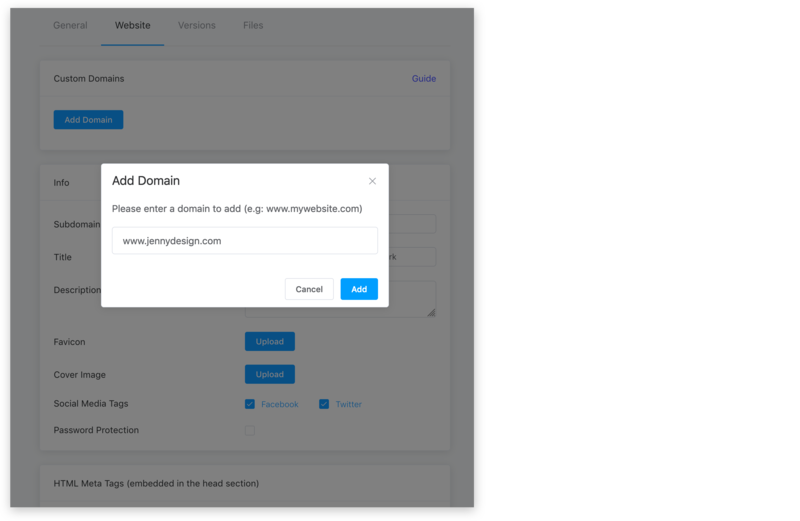 With Anima Hosting or Pro Subscriptions, you will get a ‘yoursite.animaapp.io’ domain, but you can assign your own custom domain to your Anima hosted website. If you do not have a custom domain, we recommend Google Domains or GoDaddy. Follow the this guide to add a Custom Domain. Subdomain is your free Anima domain. You can customize it to read: ‘www. [yoursubdomain].animaapp.io’ Enter subdomain all in lowercase and do not any periods. Make sure to republish your website after you edit or add information. This piece of code will be embedded in the body of each of the webpages in your website and allow you to track traffic, usage, and much more. 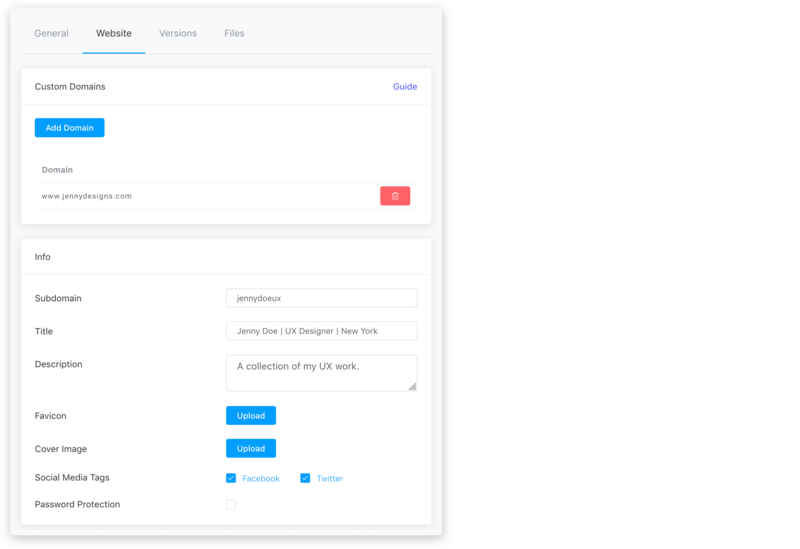 Here you can upload your assets or Video/GIFs files. It will create a direct link (.mp4, .gif) that you can embed in your design directly from Sketch using Video/GIF.